Tag Archive | "Canyon Lake"
Charlie and Kathy Prahl took daughter Katia and friend Maddi to visit Aunt Karen Shafer in Sun Lakes, Arizona over Spring Break. Kathy’s parents, Dave and Diane Taghon, joined them there and a great time was had by all. 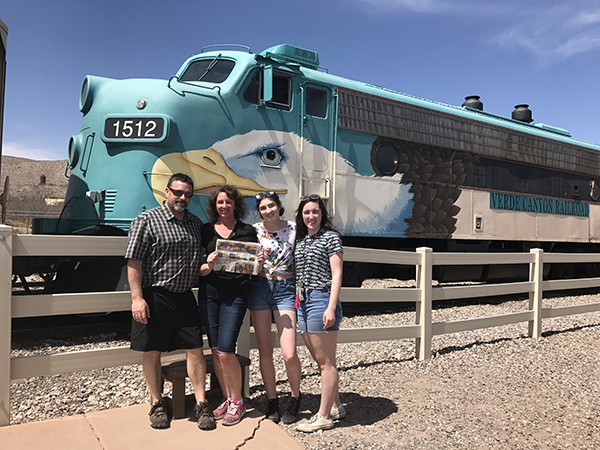 The four also went to Sedona and took the Pink Jeep Tour, spent time at the Grand Canyon, Jerome, Superstition Mountain, Canyon Lake and took the Verde Canyon Train Ride. No Spring Break is complete without The Cedar Post! Thank you to the Prahl family for taking us with you! 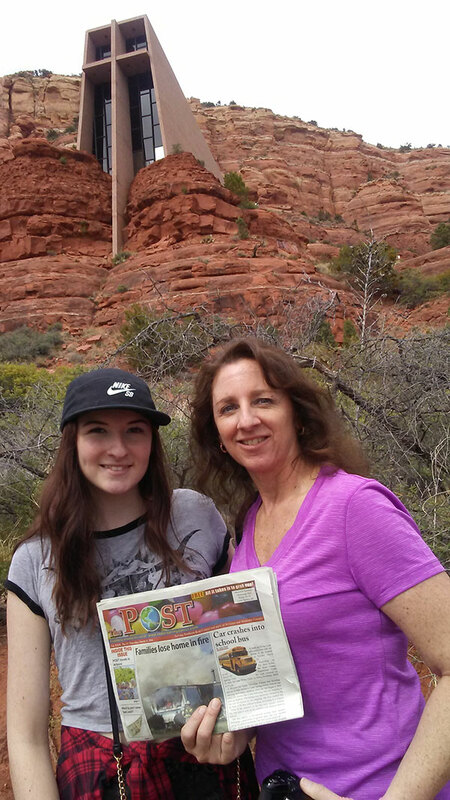 Kathy and Katia Corwin spent spring break in Arizona with Dave and Diane Taghon visiting Aunt Karen Shafer in Sun Lakes. They all enjoyed the Grand Canyon, Sedona (pictured is Chapel of the Holy Cross), and Jerome. Dave, Diane, Kathy and Katia spent a day embracing the beauty of Superstition Mountain, Canyon Lake and the history of Goldfield Ghost Town. The last day was spent at Picacho Peak and relaxing in Sun Lakes. What a great trip—being blessed with family and God’s amazing creations.